Hide deals from seller "Sunshine Cleaners "
Limit 1 per person. Valid on cleaning for 1 blanket, quilt or comforter. Excludes dry cleaning and down comforters. Promotional value expires 60 days after purchase. 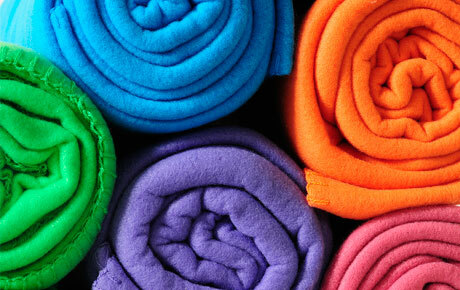 Wrap yourself up in fresh, clean linens with 50% off blanket cleaning from Sunshine Cleaners in Palatine ($18 value). With this deal, their professional staff will expertly clean one blanket, quilt or comforter. Sunshine Cleaners has been providing excellent customer service and high-quality cleaning to the Palatine community for more than 30 years. As a certified Illinois Star Dry Cleaner, Sunshine Cleaners goes above and beyond by using the most up-to-date products and processes. The expertise of their staff allows them to tackle difficult items like rugs, leather, wedding gowns and alterations. Try this deal for quality cleaning with a sunny disposition. Dry cleaner in Palatine offering a variety of convenient services.